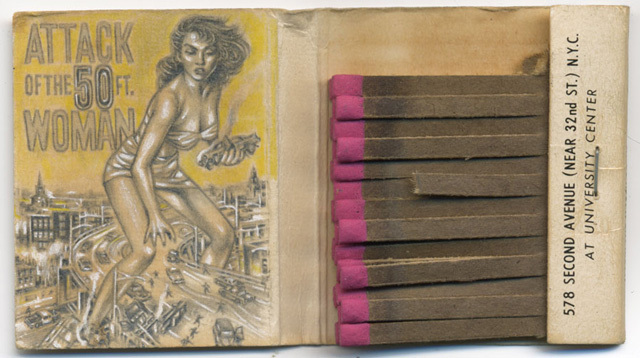 Artist Jason D’Aquino illustrates incredible miniature drawings in graphite on the inside of vintage matchbook covers. Most of them feature iconic pop culture images and are just 1″ X 1″. His upcoming show of these works titled Phillumeny opens at La Luz De Jesus Gallery in Los Angeles, California on Friday, June 1, 2012 from 8 PM to 11 PM. D’Aquino has posted an image gallery of these pieces on his site.